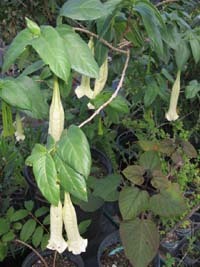 A rare tropical plant/shrub from the Dominican Republic. 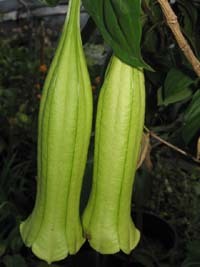 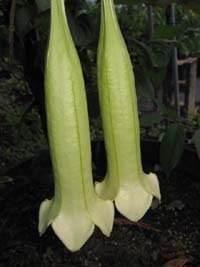 This plant is rarely offered for sale. 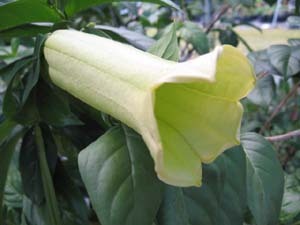 It grows to about 5' on average and during the warmer months it produces many greenish bell-shaped flowers that can be fragrant at night. 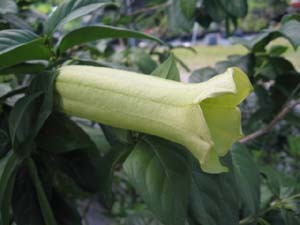 This plant is in the Gardenia family, not related to the Angel's Trumpet. 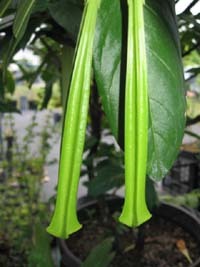 Perfect for the tropical or rare plant collector!